Our WHALES education program introduces thousands of local middle school and high school students to watershed and ecological concepts through in-class exercises and field trips at no cost to schools. We caught up with one of those students (and our former marine debris intern) Hilary Haskell to learn more about her journey from a WHALES program participant to her new role as an environmental specialist for San Diego Gas & Electric. Tell us about your experience with WHALES. Before my junior year of high school, I remember being excited for school to start so I could participate in the Coastkeeper WHALES program through my AP Environmental Science class (or APES as we called it for short). Through WHALES, I went on water treatment plant field trips, learned about creek water quality testing, and participated in community service clean-up events. I also had the opportunity to complete a final project and research paper, which was great preparation for college. My project focused on reducing the consumption of single-use plastic products and littering in the community to clean-up the local watershed. 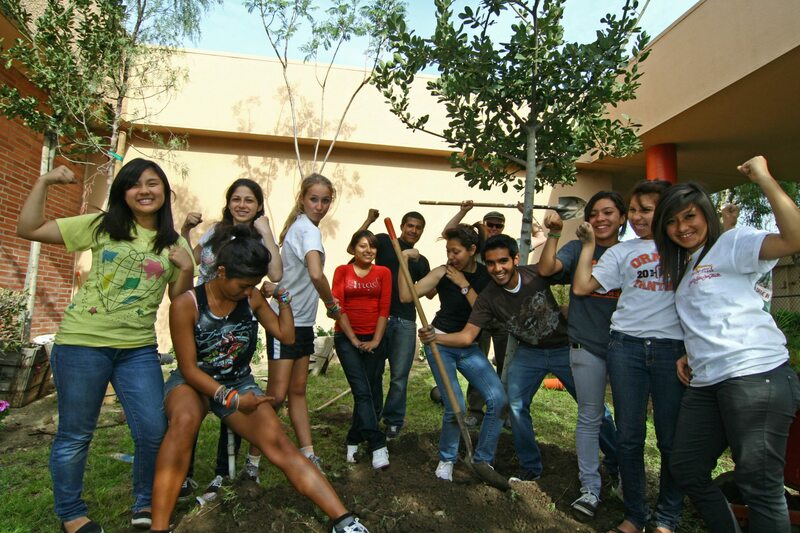 During my time in the WHALES program, I led a high school environmental club that worked with Coastkeeper and the Upper Newport Bay Restoration Program to plant a campus garden with drought-tolerant plants. I was so inspired by the Coastkeeper Garden at Santiago Canyon College, I thought my high school should have a mini version of its own. Through these experiences, WHALES formed much of the basis for my future desire to attend college and obtain a degree in the environmental field. And then you interned with us! What was that like? After my freshman year in college, I returned to Orange County Coastkeeper for the summer to work as a marine debris intern. My primary duties included helping organize Kids Ocean Day and assisting with marine life inventories at Newport Back Bay. …and you found a refrigerator at a cleanup? As an intern, I also developed a strategy for collecting more streamlined data at clean-up events to identify trends in the type of trash collected (anything from small plastic “nurdle” pellets to refrigerators). This project was definitely one of my favorites because I was able to work with the community and also become well-versed in the frameworks, challenges and policies associated with marine debris. So after Coastkeeper, what led you to work with SDG&E in sustainability? After graduating from Claremont McKenna College with my degree in Environment, Economics, and Politics, I started my career as an Assistant Environmental Planner. I continued to pursue my passion for not just the environment, but also sustainability, through a Certificate in Sustainable Business form the University of California, San Diego. Currently, I work for San Diego Gas & Electric (SDG&E) as an environmental specialist. On a daily basis, I interact with colleagues to design and construct our projects to exceed compliance with environmental laws and regulations. I am also the chair of the SDG&E Green Team Clean Transportation Committee and an active participant in SDG&E’s Environmental All-Stars, which include events from Least Tern habitat restorations to Coastal Cleanup Day. What advice would you share to students wanting to get involved in environmental sustainability? My advice to fellow WHALES students would be to start on the environmental career path early, which they already are doing by participating in WHALES! I would also recommend researching different types of environmental careers because so many fields can be related to the environment or sustainability. A great way to research these career options is to volunteer with organizations like Coastkeeper to get experience and learn which environmental careers might suit them best. I think one of the hardest challenges I had once I knew I wanted to dedicate my career to the environment was determining how I wanted to do that, whether it be as an environmental engineer, a policymaker, a scientist, etc. Overall, if you are passionate and committed to what you do, you will have the opportunity to find avenues to make a positive impact in the environmental field. Interested in a career in protecting our environment? Learn how to get involved. San Diego Gas and Electric has been a major sponsor of the WHALES program since 2011, bringing hands-on science to their service area in south Orange County.